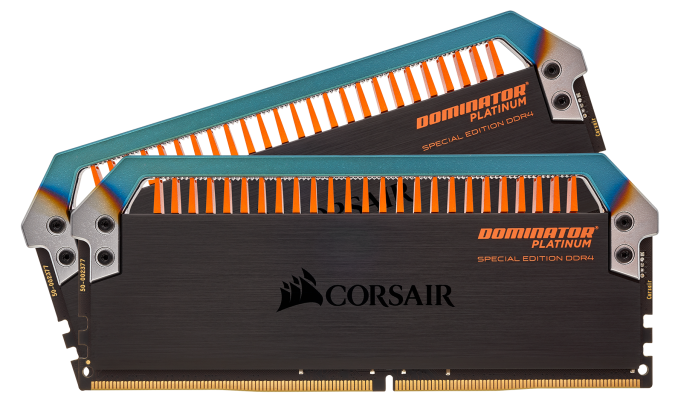 Corsair has just launched a flamboyant new addition to its flagship Dominator Platinum memory series in the form of two 32GB DDR4 kits that have apparently been designed to reproduce the aesthetic of high-performance automotive engines. Dubbed the Dominator Platinum Special Edition Torque, this new model's key feature is clearly the unique top bar, which has been given a heat-treated effect in order to mimic the patina that is often found on the exhaust manifolds of high-performance engines. The top bar also has integrated white LEDs, which we are a bit surprised aren't RGB LED (if only due to their ubiquity). The black aluminium heatsinks have been given a brushed finish, while the cooling fins and much of labelling is in an eye-catching shade of orange. As per the model name, these are a special edition modules that will be available in limited quantities, with each kit being individually numbered.. Designed for Intel X99 and 200-series motherboards, the two 32GB Dominator Platinum Special Edition Torque memory kits are available as both a 2x16GB kit and a 4x8GB kit, each with otherwise identical specifications. The CMD32GX4M2C3200C14T model is a dual-channel kit consisting of two 16GB memory modules rated to run at DDR4-3200 with CL14-16-16-36 timings at 1.35 volts. The CMD32GX4M4C3200C14T model is quad-channel memory kit consisting of four 8GB memory modules rated to run at DDR4-3200 with CL14-16-16-36 timings at 1.35V. They are both manufactured with Corsair's custom 10-layer PCB, and feature Samsung B-die ICs that have been binned to ensure that they can be safely overclocked to at least DDR4-3600. Both kits also support XMP 2.0, which should eliminate any of the hassle that is often associated with trying to manually overclock memory. 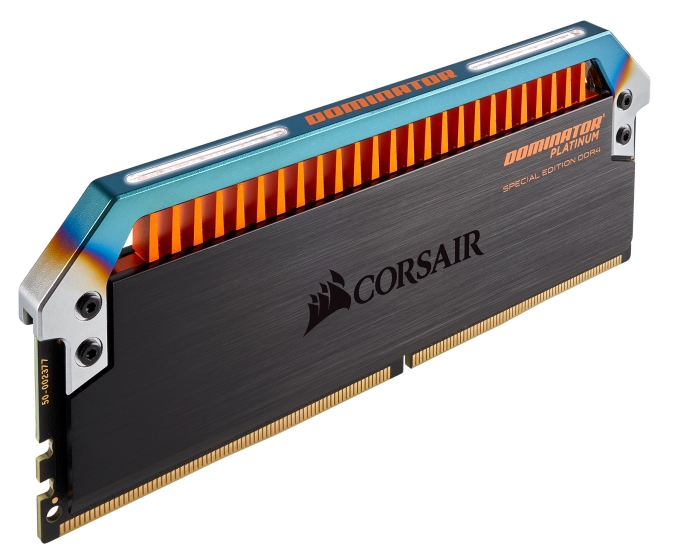 The new Corsair Dominator Platinum Special Edition Torque series is available immediately on Corsair's website. The 2x16GB kit is priced at $399.99 USD, while the 4x8GB version is a little pricier at $449.99 USD. They are both covered by Corsair's lifetime warranty.